Water is a daily neccesity and it plays a very important role in maintaining and helping our bodies immune system to flush out toxins and also providing it with all the benefits it does. Not only do we need it internally but water plays a major part externally. From our daily showers to brushing our teeth, the quality of water, holds a very crucial role. 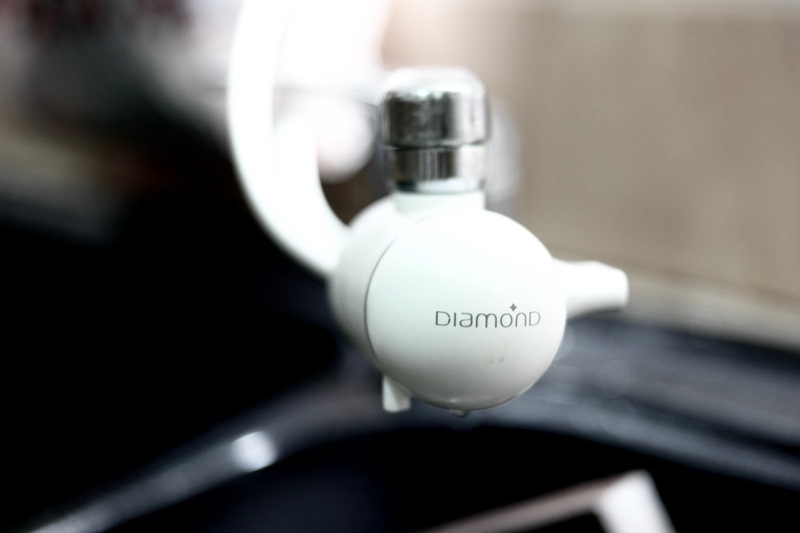 Recently, I was introduced to Diamond Water with a DIAMOND Coral filter system installed in my house for me to try. 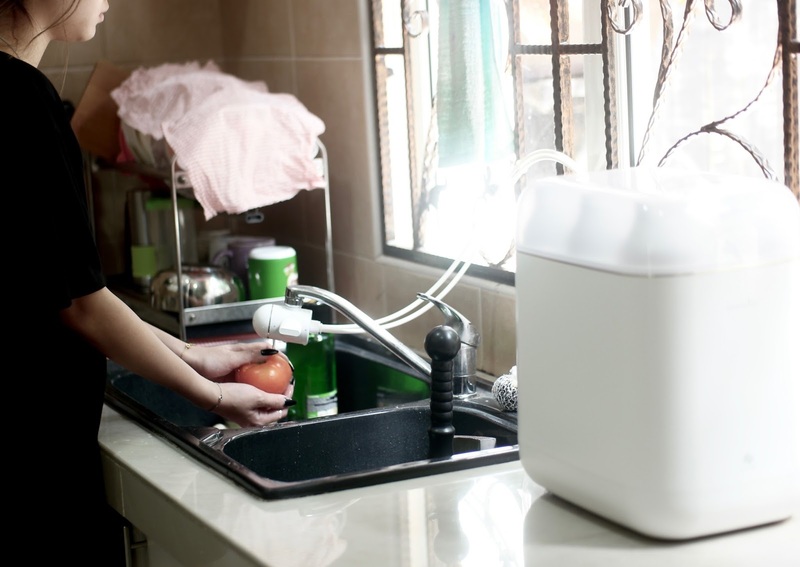 It is a filtration system that could provide a key to a 'healthier' water system into your household or office spaces. DIAMOND CORAL’s unique water system passed nearly 200 safety and performance tests, proven to be able to filter and remove rust, dust, bacteria, chemical components and heavy metals such as aluminum, iron, copper, lead and many others. The purified water met the drinking water safety standards set by World Health Organization (WHO) and reserved beneficial minerals at the same time. DIAMOND Coral uses up to 6 filters in their multiple filter design that can contain up to 20 times more purifying materials than regular filters. 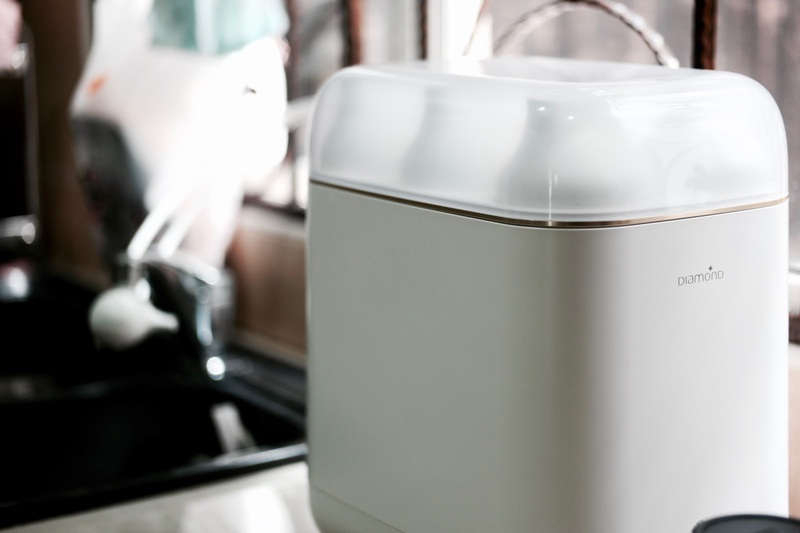 The contact surface of purifying materials with the water directly affects the performance of the purifier, hence the greater contact surface established, the greater the performance of the filter. By contrast, a smaller filter would contain lesser materials and surface area resulting in reduced performance. 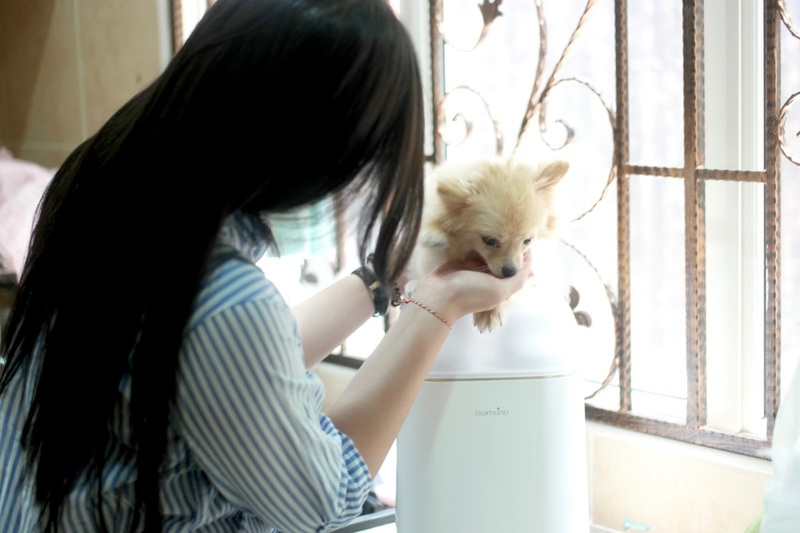 DIAMOND CORAL uses up to 6 filters multiple-filter design that can contain up to [20 times more purifying materials] comparing to the smaller or single filter machine, to guarantee greater performance and gives you extra peace of mind. 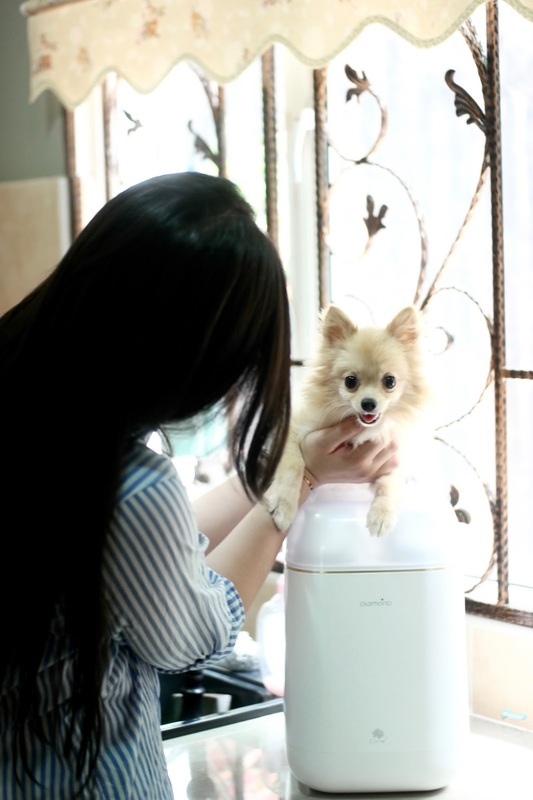 After a month of using Diamond Water in my household, I've noticed significant changes, not only on myself but on my baby Pomeranian, the taste of my cooking, and etc. First thing I've tried and notice was my skin. Using Diamond Water daily to wash my face when I wake up has given me a slightly more glowing skin (I've only been using it for a month). This is because our normal tap water carries silt and rust and such due to the pipes, but with the filters, it filters out all those and your complexion becomes healthier. It moisturizes the skin making it more radiant. Plus, if you have any body discomfort, it is a good choice to use Diamond Water to reduce any itchiness and such. Secondly, I've learnt that soaking or washing vegetables and fruits in Diamond filtered Water can remove 99.6% of toxic agricultural chemicals, while keeping it fresh. This is perfect as you know that not only there's toxic chemicals being sprayed on fruits and vege but also how it's handled and managed in supermarkets and stuff; the less toxins on it the better i'd say! Plus, fruits oxidise slower when soaked in Diamond Water. On top of that, I've used Diamond Water to boil soups, add on to drinks and such. 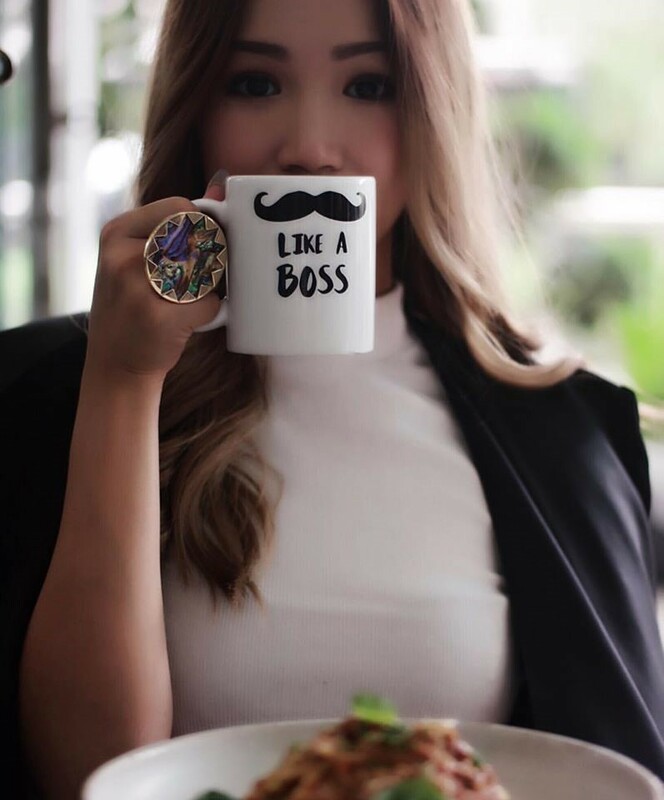 Not only does it taste sweeter, it is surprisingly smoother and the taste of it comes off more fragrant. Plus, cooking porridge (which I eat almost everyday) takes less time to cook and the dried scallops softens faster too, and ontop of it my porridge tastes less startchy. A quick neat trick I've learnt too was to defrost frozen food using Diamond Water. It effectively penetrates into frozen food, quickening the process of defrosting! And if you follow my social media accounts, you'll see how I love seafood. I've started soaking and cleaning the crabs using Diamond Water and it totally eliminates the fishy smell. Another neat trick, I've learnt is soaking pungent vege such as onions in Diamond Water would remove foul odours and prevent eyes from tearing. I've also tried feeding it to Whisky, the new family member of the Lim's. I've noticed that her appetite is better and her fur sheds less. Maybe cause I bathe her with Diamond Water too. There's less body odour and her fur is fluffier heh. Mummy has been pretty innovative with the usage of the new filtration system at home. She has been watering her plants with it! And she has been telling me how the flowers were blooming beautifully looking all vibrant and vivid. Also, since it's her birthday month and she's been receiving bouquets of flowers, she would fill the vase with Diamond Water and surprisingly it stayed fresh and alive for more than the usual period, plus she doesn't have to add sugar into the water now and risk ants swarming the vase. I've also heard that Diamond Water is great for newborn babies or children overall. Babies cultivate better drinking habits as Diamond Water has a tinge of sweetness to it, and feel less bloated in the stomach after drinking it. It also dissolves formula milk powder easily when used to make milk for your baby. And if your baby is suffering from eczema or heat rashes, you can apply Diamond Water on the baby’s skin to alleviate pain and itchiness. Diamond Water can also, help reduce swellings if the baby is bitten by mosquitoes or insects by bathing them in the water. Lastly cleaning milk bottles and other baby products with Diamond Water is more thorough, giving you peace of mind. Overall, my experience with Diamond Water have been a great one with many good benefits in even such a short period of time I can't wait to see the huge difference in the long run. I used to hate drinking water on its own, but with Diamond Water, I've started out with infusing water with fruits and then it just grew on me as Diamond Water is way smoother and has that little tinge of sweetness to it compared to boiled or bottled mineral water. 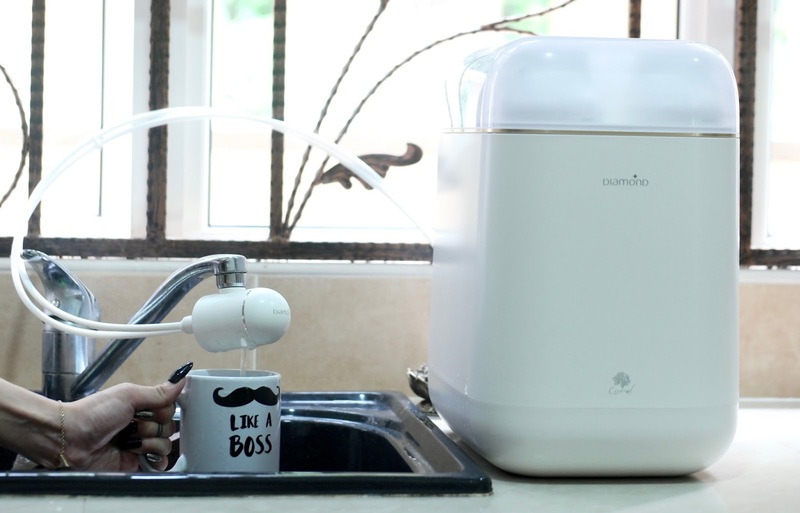 Plus, I received the six-cylinder filtration system which has and provides extra minerals to the water, probably giving me more nutrients as I've never seen my body detox itself so quickly in such short period. It is a great way to start a healthier living situation for any household, and it doesn't cost as much as what people always think it does. Also worth mentioning is that the service they provide is top notch, the technician will come by for maintenance when it’s due, and the filters will be changed regularly and they give you new ones. 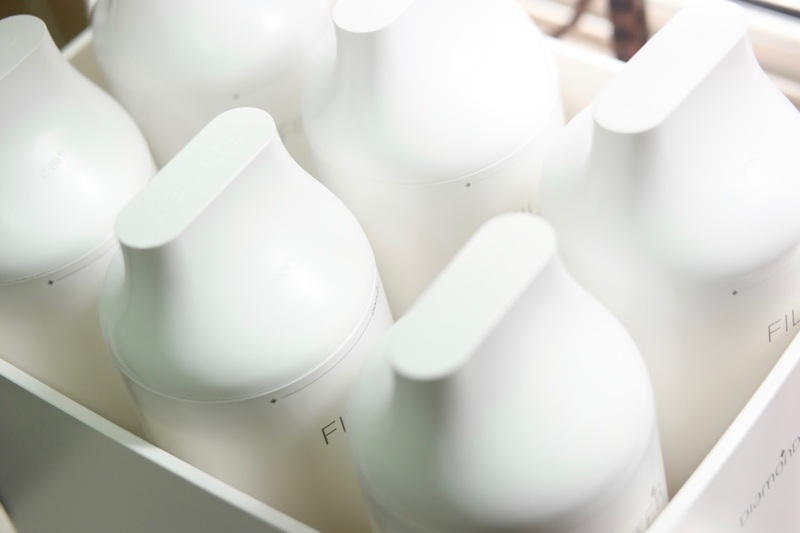 No need to hunt down the same type or brand in department stores all over just to maintain your filtration system and no need for worrying that it will be discontinued or so on.